I now have an American call sign - KC2ZIL - as I passed the Technician class exam at the RSGB convention in Milton Keynes on 10th October 2010 and I hope to do the General and Extra class at another convention or The National Ham fest if I can get down there, so fingers crossed. After getting all my U.K. Licenses out of the way now is the time to start really enjoying the hobby. I am thinking about setting up an APRS station, but I am not sure which way to go, I like the looks of a WX3in1 plus APRS Advanced Digipeater/I-Gate which comes from Microsat in Poland. I need to do a bit more research into it before I take the plunge. I would really like to take up CW as the mode fascinates me, I have a Bencher paddle but I know that before I use it I should train on a straight key first. I have bought a JM Precision USB morse interface so that I can use the PC as a training aid. I will have to put some time into this in 2013. 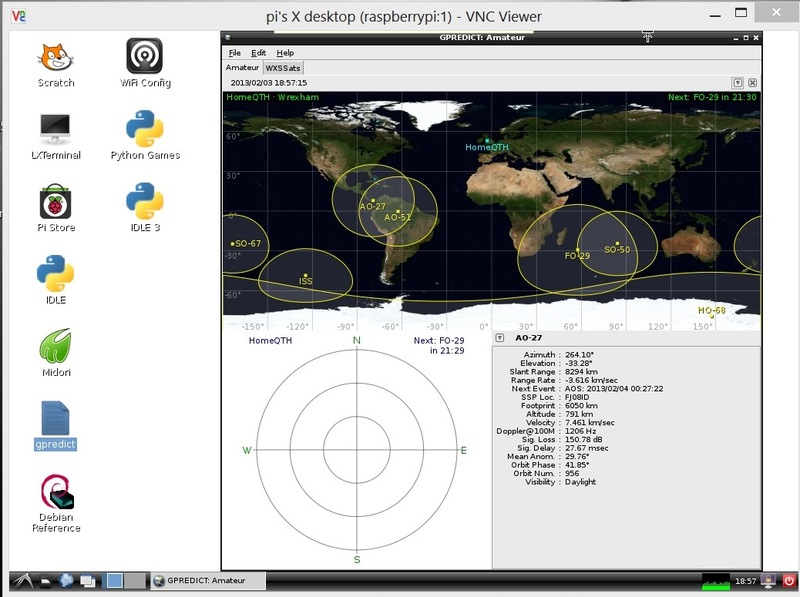 I find the Raspberry Pi is slowly becoming a great little work horse and I have found another use for it as a constantly running Gpredict platform for Satellite pass predictions. I just access it via Tightvncviewer and I can see when expected passes are due over my location, I really want to get back into weather satellite data decoding again so this will help a lot. I got a second Raspberry Pi & RTL Dongle, these are being used for WX sat and data decoding as well as a general coverage receiver. The set up works really well in conjunction with VAC.